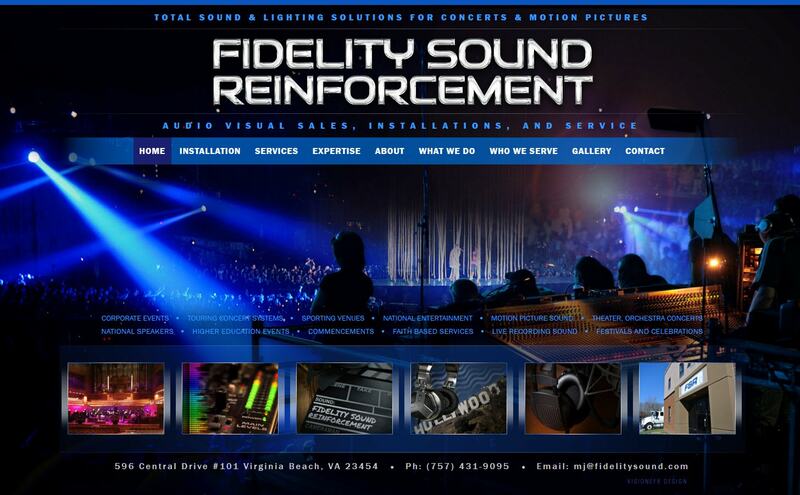 Website design Virginia Beach, Hampton Roads | This Word Press website design was developed for a sound production company located in Virginia Beach has visual galleries for sound production-support equipment as well as sound support for film and video production. VISIONEFX provided creative branding and logo design. We provide the finest in Web Design for Business and Web Design in Virginia to companies and small business. When searching Website design Virginia Beach, Hampton Roads look no further than the web design professionals at VISIONEFX. best in web design. VISIONEFX provides services to national companies as well as small to medium businesses throughout the United States to include; custom web design, web development, E-commerce web design, Word Press web design, Joomla web development, SEO and web maintenance services. Call: (757) 619-6456 or email info@visionefx.net.